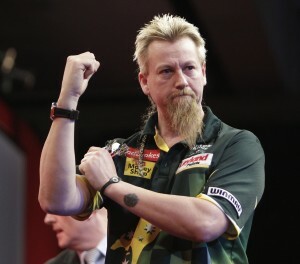 Simon Whitlock will be aiming to stay at the summit of the McCoy’s Premier League on Thursday, when he takes on Kevin Painter at Belfast’s Odyssey Arena. ‘The Wizard’ has picked up a draw and a win so far, to leave himself top of the table heading into the third night of action. James Wade, who was beaten by Whitlock last week, hopes to return to form when he takes on reigning champion Gary Anderson. Raymond van Barneveld takes on his old rival Phil Taylor in the final match of the night. ‘Barney’ is looking to extend his unbeaten run, having drawn his first two matches. The Dutchman has started off the tournament in fine form. He averaged over 102 on the opening night in Manchester two weeks ago, and the five-time world champion will hope to build on his encouraging start. The evening’s other match sees Adrian Lewis and Andy Hamilton go head to head in a repeat of the World Championship Final. Raymond van Barneveld secured a draw with world champion Adrian Lewis in sensational style in Aberdeen. The Dutchman took out a stunning 126 finish to seal a point for the second consecutive week. ‘Barney’ hit four 180’s in another thrilling match before hitting 19, treble 19 and bull to grab the draw when under immense pressure from the world number two. Van Barneveld, who drew with Simon Whitlock last week, was pleased to share the spoils once again. Van Barneveld won the first leg against the throw and soon doubled his lead, hitting his first 180 in the process. Lewis came back strongly though, winning four legs in a row to lead at the break. ‘Jackpot’ then held his throw to open up a three leg lead before ‘Barney’ reduced the deficit with a tidy 76 finish. The Dutchman then took out 77 to grab a crucial break of throw before hitting another maximum on his way to restoring parity at five legs apiece. Van Barneveld hit a third 180 but was unable to prevent Lewis from edging back in front. The five-time world champion hit maximum number four before hitting double four to level the match once again. Lewis took out 140 to go back into the lead in the penultimate leg of the match before ‘Barney’ pulled of his sublime 126 checkout with Lewis waiting to pounce on 51. MODUS stars James Wade and Simon Whitlock go head to head in the McCoy’s Premier League tonight. The pair, who both reached the semi-finals of the World Championship, will close the show on what promises to be an exciting evening of action in Aberdeen. 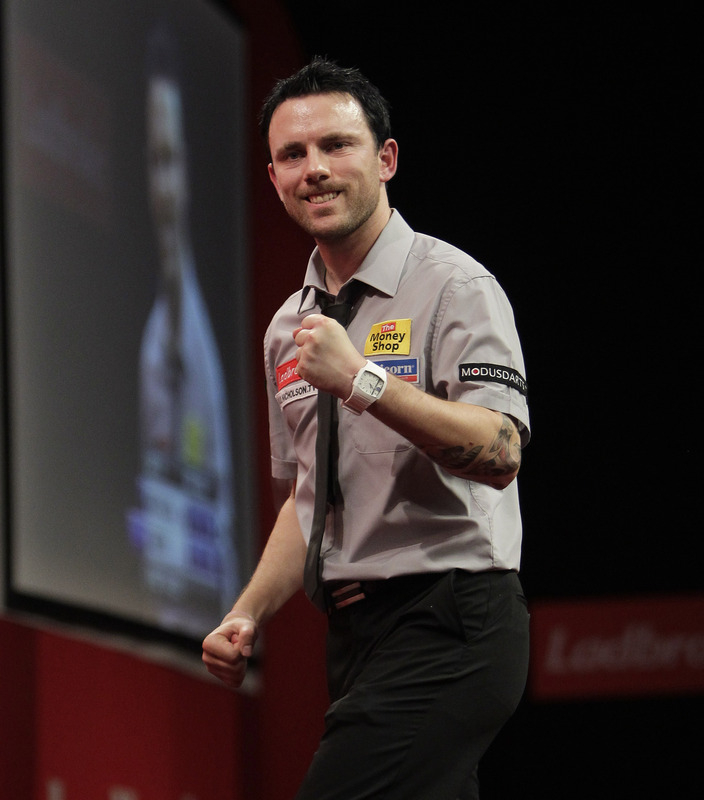 Wade is aiming to bounce back from an opening night defeat at the hands of Andy Hamilton. ‘The Machine’, who won the tournament in 2009, was successful with more than half of his attempts at doubles last week but narrowly lost out to the World Championship runner-up. Whitlock is in excellent form of late. He has followed up his run at the Alexandra Palace with strong performances at the Players Championship events in Benidorm and back to back semi-finals at the UK Open qualifiers last weekend. ‘The Wizard’ played out a thrilling draw with Raymond van Barneveld in Manchester last week and will be hoping to add to his points tally in Scotland. Van Barneveld is in action in the opening match of the night when he takes on world champion Adrian Lewis. ‘Barney’ came back from 7-5 down to share the spoils with Whitlock, an encouraging sign that he is getting back to his brilliant best. The Dutchman hit more treble 20’s than singles last Thursday and a similar performance tonight would undoubtedly give ‘Jackpot’ more than a run for his money. In the nights other matches, Phil Taylor takes on Kevin Painter and Gary Anderson meets Hamilton. MODUS darts.tv will provide updates and reports for all matches involving MODUS players. 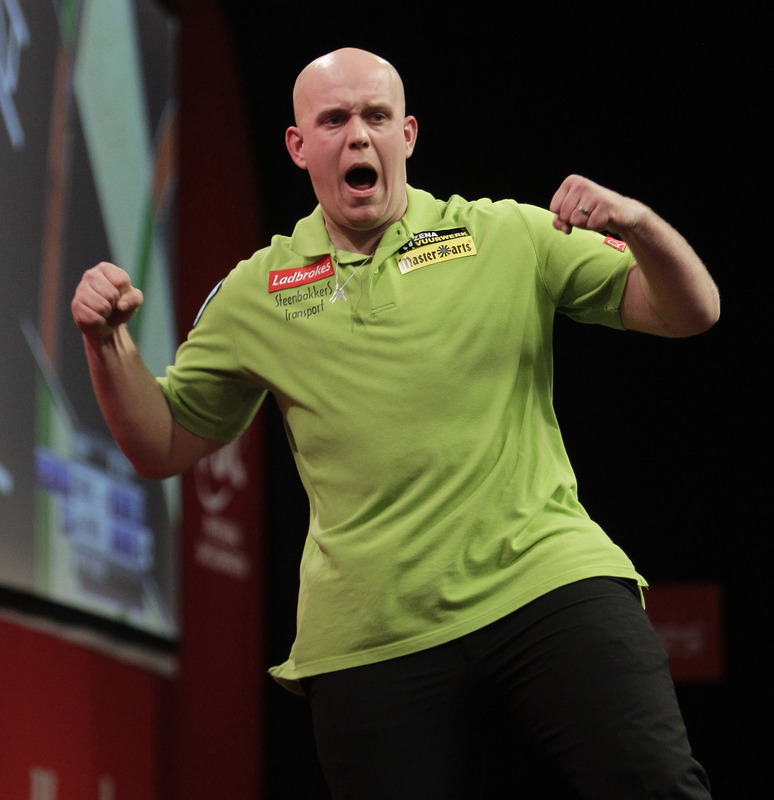 Michael van Gerwen produced a sensational display to win the second Speedy Hire UK Open qualifier in Crawley. The young Dutchman hit a perfect nine-dart finish and a maximum 170 checkout in an amazing final against Dave Chisnall. ‘Mighty Mike’, who was named PDC Young Player of the Year last month, put together a brilliant run of impressive victories at the K2 Centre, culminating in his 6-1 triumph over Chisnall. The 22 year old began the final with a 13 darter before breaking his opponent’s throw at the first opportunity. Chisnall pulled a leg back before van Gerwen restored his lead in spectacular style, hitting 180, 177 and a 144 checkout for a sublime nine-dart leg. He went on to win the next three legs, hitting a 170 finish along the way, to claim his second victory on the PDC Pro-Tour. Van Gerwen beat Steve Brown, Stuart Kellet, Richie Howson and Jamie Caven to reach the quarter-finals, where he defeated World Championship runner-up Andy Hamilton 6-2. The Dutchman followed that fantastic win up with a 6-0 whitewash over Premier League star Simon Whitlock in the semi-final, before beating Chisnall in the final with a magnificent 108 average. 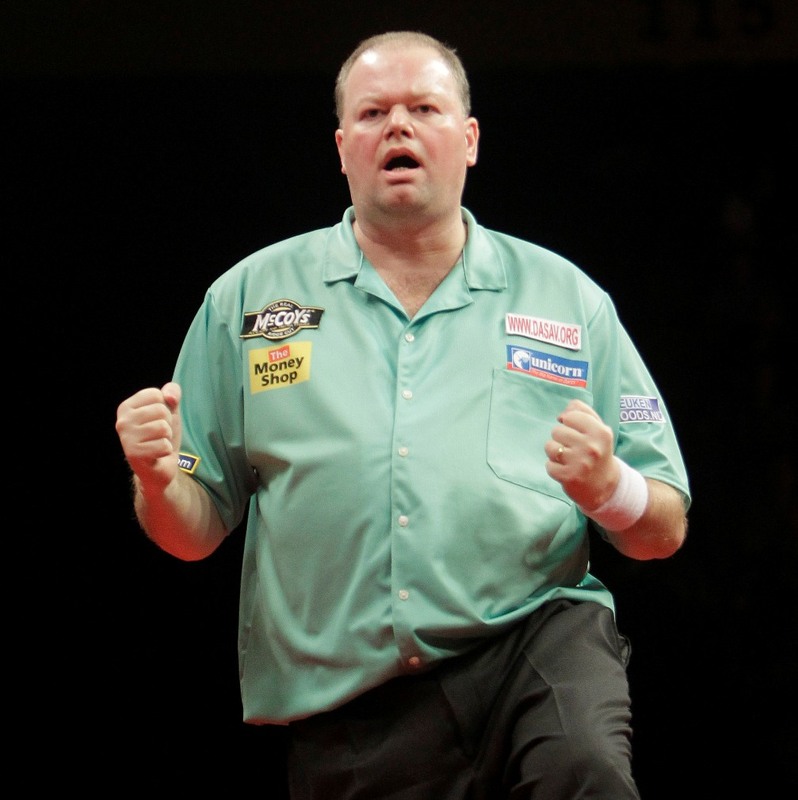 Vincent van der Voort also showed good form before losing out to Chisnall in the last four. Van Gerwen scooped £6000 for his success and sealed qualification for the Speedy Hire UK Open finals in June. 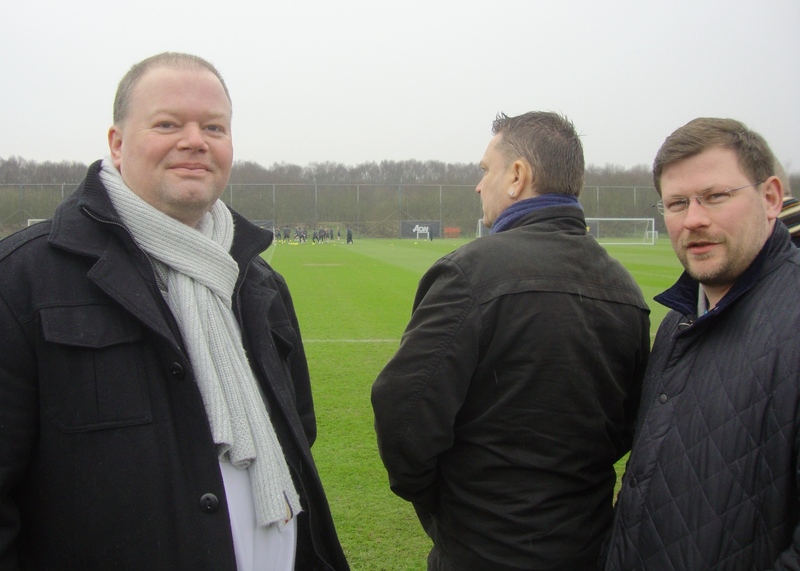 MODUS stars James Wade and Raymond van Barneveld visited Manchester United’s training ground yesterday ahead of the opening night of the McCoy’s Premier League. 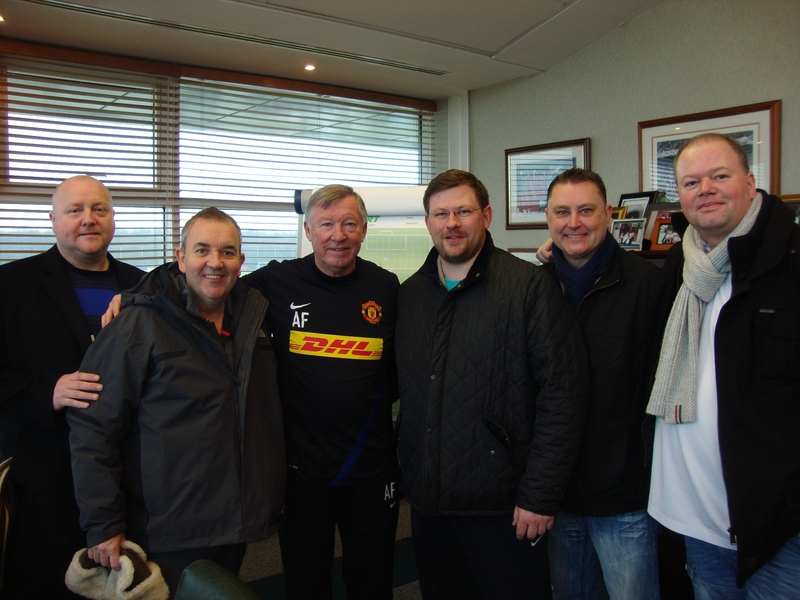 Wade and ‘Barney’ were joined by Phil Taylor, Andy Hamilton and Kevin Painter in their trip to Carrington, where they were given a tour of the clubs facilities. 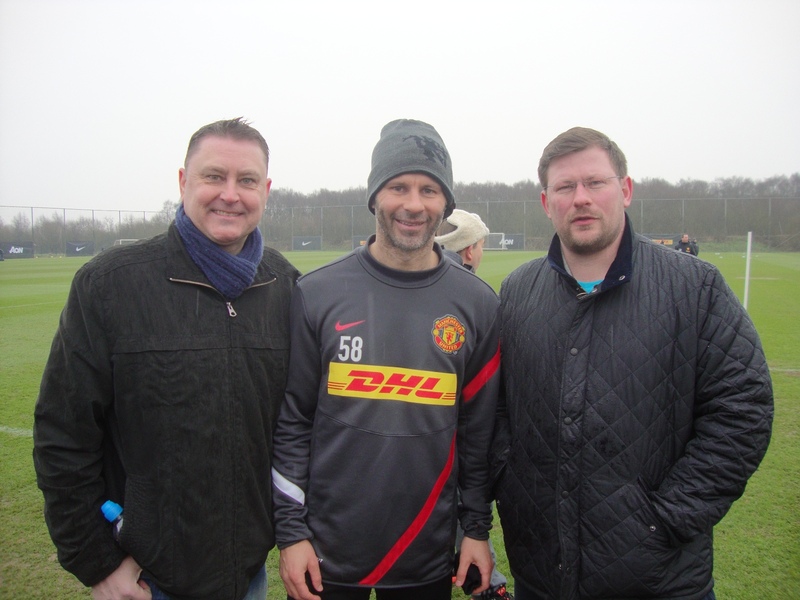 They also met Sir Alex Ferguson and Ryan Giggs, two men who know a thing or two about winning Premier League titles. Raymond van Barneveld and Simon Whitlock served up a real treat on the opening night of the McCoy’s Premier League, hitting eight 180’s between them in a fantastic 7-7 draw in Manchester. 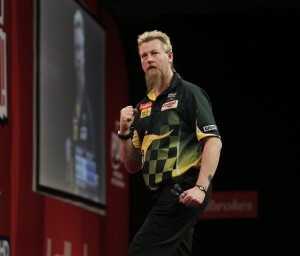 ‘Barney’ won the last two legs to seal a point after Whitlock had won five of the previous six. The Dutchman averaged 102 in a real classic. ‘The Wizard’ took the first leg before van Barneveld took out 80 to level. ‘Barney’ hit his first 180 in the third leg, which he won against the throw. The Dutchman hit double 15 to move further in front before Whitlock levelled with a neat 96 checkout. ‘Barney’ won the next leg to double his advantage, hitting his second maximum in the process. Whitlock hit double four to reduce the deficit to a single leg, before hitting two 180’s against the throw to restore parity with a fantastic twelve dart leg. The Australian made it three in a row by hitting double top to take the lead for the first time since leg one. Van Barneveld hit double twelve to make it five legs apiece. ‘The Wizard’ replied with his third 180 before hitting double four to put himself back in front. He then grabbed a break of throw at the perfect time, hitting double 16 to take a 7-5 lead. ‘Barney’ hit his fourth maximum before taking out 61 to leave himself throwing to salvage a draw. The five-time world champion made it five 180’s before hitting double eight for a share of the spoils, which both players admitted they were happy with. 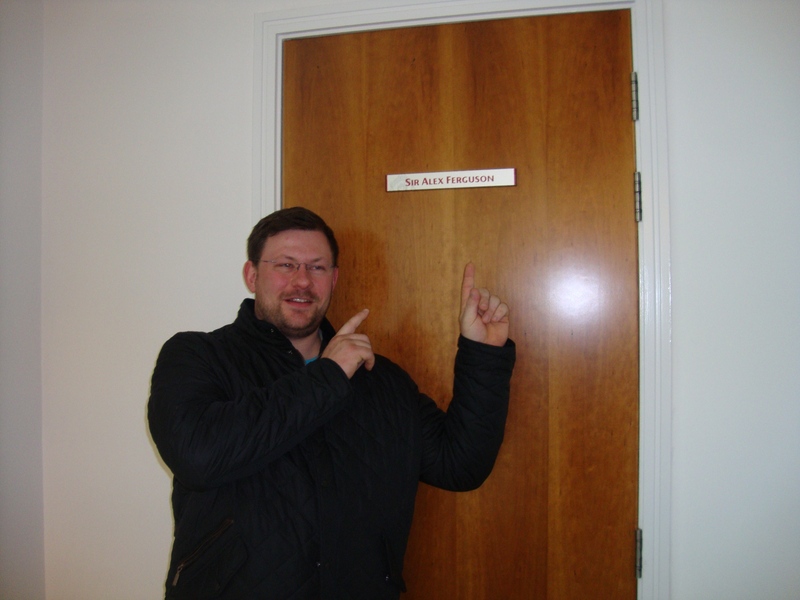 Earlier in the evening James Wade was narrowly beaten by Andy Hamilton. 2009 champion James Wade kicks off proceedings for this year’s McCoy’s Premier League when he faces Andy Hamilton in the opening game at the Manchester Evening News Arena. Wade narrowly missed out on a place in the play-offs last year but came back strongly by winning his second UK Open title and reaching the semi-finals of the World Championship. ‘The Machine’, who is ranked third in the PDC Order of Merit, has been a consistently good performer in the competition and will hope to begin his 2012 campaign with victory over Premier League new boy Hamilton. Following that clash is a match between two players fresh from good showings at the World Cup of Darts last weekend. Simon Whitlock takes on Raymond van Barneveld in a repeat of the semi-final in Hamburg, in which the Australian came out on top. ‘Barney’ has been a regular fixture in the Premier League. He has made five semi-final appearances in six years and he is confident that he is recovering from a recent loss of form at just the right time. He said: “I feel fantastic at the moment and I’m over the moon to have been selected to play in the Premier League again. I’m working hard and playing quite well, my scoring has been good. I believe that within a couple of weeks, the old ‘Barney’ will be back. Both players were selected as wildcards to return to this year’s competition and Whitlock is excited to be back on the big stage. World Cup winners Phil Taylor and Adrian Lewis go from teammates to rivals in the final match of this evening. That is after defending champion Gary Anderson takes on tournament debutant Kevin Painter. 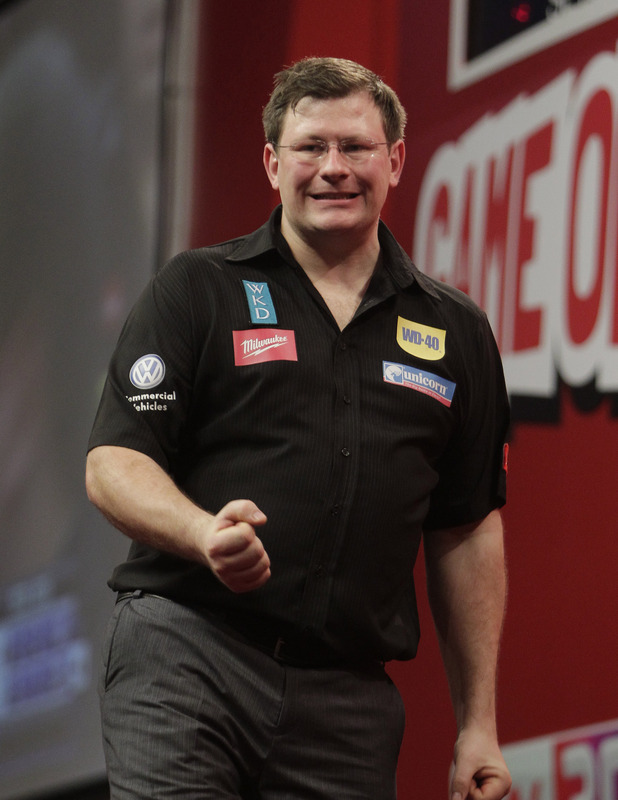 World number three James Wade has agreed a deal with brand new sponsors, The Money Shop. ‘The Machine’ joins fellow top players Simon Whitlock, Raymond van Barneveld and Paul Nicholson in wearing the well-known brand. Wade faces 2012 World Championship finalist Andy Hamilton in the opening game of this year’s Premier League, which starts in Manchester tomorrow. The seven-time major winner is aiming for a repeat of his 2009 campaign, when he won the tournament. 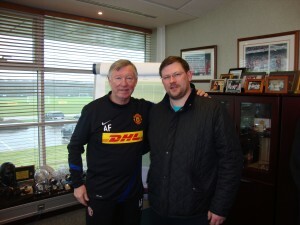 He added: “I’m really looking forward to The Premier League this year and can’t wait for Thursday to come around. I have been working hard on improving my game and I am certain that I can reward The Money Shop’s investment and do them proud. Australia produced an amazing fight back but were denied victory in an incredible World Cup final in Hamburg. All four players had darts to win the title in a nerve-racking sudden death leg before world champion Adrian Lewis sealed victory for England. The formidable pairing of Simon Whitlock and Paul Nicholson came back from three points down in the match to force the one leg shoot-out. Nicholson was beaten7-4 by Phil Taylor before Lewis edged Whitlock 7-5. Australia’s title dream looked all but over when ‘The Power’ beat ‘The Wizard’ 7-6 in a brilliant showdown, in which both players posted ton plus averages. Nicholson then held his nerve to reignite the Australian flame by beating Lewis 7-4. Then the Aussie pair combined to produce more fireworks with a sensational display in the doubles. They triumphed 7-4 to force the sudden death shoot-out, but were denied the fairy tale ending as England claimed the gold medals. Paul Nicholson suffered defeat at the hands of 15-time world champion Phil Taylor. Nicholson pushed ‘The Power’ hard but was unable to prevail over the world number one. Taylor won the first leg before Nicholson hit double 16 at the first attempt to level. ‘The Power’ went back in front with a 116 checkout but Nicholson restored parity by hitting double three. ‘The Asset’ got himself in front for the first time when he hit double top to punish Taylor for missed attempts at his double. Nicholson hit his first maximum in the sixth leg but Taylor took out 94 to tie the score once again. ‘The Power’ then took the lead after Nicholson had just missed the bull for a 124 finish. ‘The Asset’ bounced straight back though, by taking out 50 under pressure to make it four all. Taylor went on to win the next three legs to give England the first point of the match. Simon Whitlock was narrowly beaten by world champion Adrian Lewis in a high quality singles match in Hamburg. ‘Jackpot’ had to hit five maximums and some big finishes to inflict ‘The Wizard’s first defeat of the tournament. Lewis won the first leg before Whitlock levelled up. ‘Jackpot’ hit double top to restore his lead but Whitlock fired back by hitting double twelve after setting it up with a brilliant 174. ‘The Wizard’ then fired in his first maximum on his way to taking the lead for the first time. Lewis won the next two legs to put himself back in front but Whitlock hit straight back again by finding double top. The Australian then hit a 180 but lost the next leg as Lewis took a 5-4 lead. 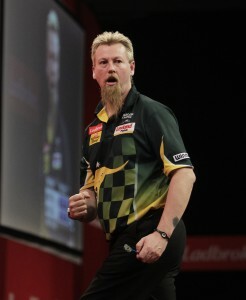 Whitlock levelled again by taking out 64 before his opponent took out 161 to go back in front. The world champion won the next leg to put England 2-0 in front overall. Simon Whitlock was edged out by Phil Taylor in an amazing singles game, which was more than worthy of gracing any major final. ‘The Wizard’ averaged over a hundred but was condemned to defeat after losing a tense last leg decider. Whitlock hit double nine to put himself in front and then hit tops to double his lead. ‘The Wizard’ punished Taylor for missing doubles to increase his advantage to three legs. The Australian hit his first maximum in the next leg but Taylor hit double one to reduce the deficit. ‘The Power’ took out 142 to pull another leg back before Whitlock hit double four to restore his two leg lead. Taylor won the next two legs to level up proceedings but ‘The Wizard’ responded with a clinical 80 checkout to wrestle back control. The Australian slotted in his second 180 in the tenth leg but Taylor managed to pull himself level once more. The world number one took the next leg to go 6-5 up in the race to seven, but Whitlock made sure that there would be a deciding leg by hitting double six. Taylor won that last leg to triumph, meaning Paul Nicholson would have to beat Adrian Lewis to keep Australia in the final. Paul Nicholson showed amazing character to bring Australia back from the brink with victory in his singles match against Adrian Lewis. ‘The Asset’ had to beat the World Champion to make sure the pairs match was needed, and he duly obliged with a courageous performance. Nicholson hit double eight to win the first leg but Lewis won the next two. ‘The Asset’ took out 68 to pull himself back level before Lewis hit double 18 to go back ahead. Nicholson hit double 16 to make it three legs a piece. He then found the same bed to take the lead, but Lewis hit back with his second 161 checkout of the evening. ‘The Asset’ then hit double top to go back in front before tidying up 64 to make it 6-4 in the race to seven. Nicholson then kept Australia’s hopes alive by hitting double top to ensure the final went all the way to the pairs. Paul Nicholson and Simon Whitlock narrowly missed out on completing a remarkable come back, when they lost to Phil Taylor and Adrian Lewis in a tense sudden-death shootout. The Australian’s proved to be an almighty pairing once again in the doubles, winning 7-4, but were beaten in the one leg decider. Nicholson hit a 180 in the opening leg before Whitlock took out 79 to win it. ‘The Wizard’ then hit double eighteen to give Australia a two leg lead. Two legs soon became three when Nicholson stepped forward to hit double top. Taylor hit double five to pull a leg back before Lewis took out 99 to reduce Australia’s lead to a single leg. Whitlock hammered in a maximum to kick off leg six before hitting double eight to go two legs ahead. ‘The Wizard’ opened the following leg with another 180 before Nicholson just missed the bull for a show-stopping 170. It didn’t matter though, as Whitlock stepped in to hit double eight. ‘The Asset’ hit a maximum in the eighth leg but Taylor took out a ton to pull a leg back. Nicholson hit double 16 in leg nine to move Australia within a leg of winning the match. It wouldn’t be the next leg though, as Taylor checked out 106. Whitlock hit another 180 in the next leg before forcing a sudden death decider with a breathtaking 124 finish on the bull. Whitlock and Taylor both hit the 25 three times in a tense throw for the bull, before Taylor hit the target , meaning England would throw first. England pulled away in the deciding leg before a 140 from Nicholson kept Australia in it. Whitlock hit a ton to leave Nicholson 56, but ‘The Asset’ missed double ten by the width of the wire before Taylor did the same. Whitlock was also to be denied before Lewis hit double five to put an end to an amazing World Cup final. Wales bowed out the World Cup in the semi-final stage at the hands of an England team containing the world’s top two players. Mark Webster’s chances of reaching the final for a second consecutive year were ended when he and Richie Burnett fell at the final hurdle. The pair played fantastic darts throughout the tournament but were unable to overcome the favourites in the last four. 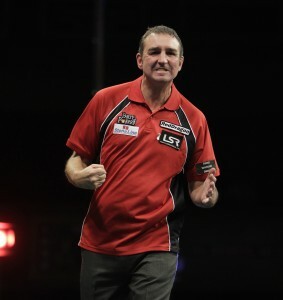 Richie Burnett inflicted more misery on world number one Phil Taylor by condemning ‘The Power’ to defeat with a stunning performance. The Welshman averaged 108 in his win over the 15-time world champion. Burnett started well by winning the first leg against the throw. He hit his first 180 in the following leg before taking out 60 to double his advantage. Taylor pulled a leg back before Burnett hit double top to move within a leg of victory. ‘The Prince of Wales’ took out 76 to complete a brilliant win, which gave Wales the first point of the match. Mark Webster suffered a defeat at the hands of world champion Adrian Lewis, who produced a brilliant display to beat the Welshman. Webster hit a 180 in the opening leg but Lewis won all four legs with a strong performance. The reigning World Champion posted a 104 average and levelled up the match for England. Mark Webster became the victim of a Phil Taylor backlash, when the world number one returned to form to win his first singles match of the tournament. Taylor won the first leg before checking out 66 to double his lead. Webster stormed back by hitting double ten after setting it up from 170. ‘Spider’ just missed double top in the next leg though, and Taylor hit double three to restore his advantage. ‘The Power’ hit an eleven darter to put England a point in front in the match. Richie Burnett was beaten by Adrian Lewis in his second singles match of the semi-final despite another impressive performance. It took an almighty effort from Lewis to win the first leg as he checked out 155 with Burnett waiting on his double. ‘The Prince of Wales’ hit double ten to restore parity. He followed that up with his second maximum before producing a sensational 93 finish of 25, 18, Bull to edge in front. Burnett hit another 180 to kick off the fourth leg but ‘Jackpot’ drew level. Lewis then took the lead with a 111 checkout before Burnett forced a deciding leg. The world champion hit double top to deny Burnett the victory, meaning that Wales would have to win the pairs to force a sudden death decider. Mark Webster and Richie Burnett were denied a place in the World Cup final after suffering defeat at the hands of the two highest ranked players in the World. Lewis hit double top to give England the lead. Burnett responded with the first 180 of the showdown before hitting double ten to draw level. Taylor took out 111 to restore England’s, and Lewis doubled it by hitting double 16. Burnett hit another 180 as Wales attempted to fight back, before hitting double two to leave them in with a chance. It wasn’t to be for Wales though, as Lewis took out 65 to send England through to the final.